High school is the time where we are being prepared a step closer into being an adult. It is the time where we start thinking about what career path we want to take both in academically or professionally. 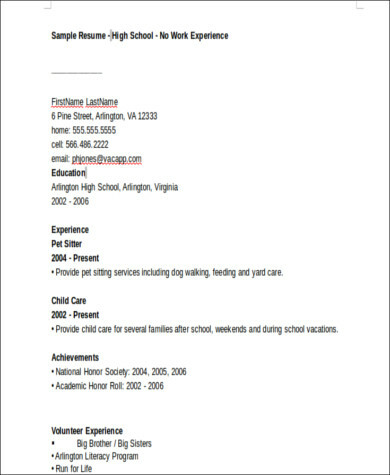 Writing a Sample Resumes is beneficial for you, whether you are aiming to work after high school graduation or aiming to getting a higher education. 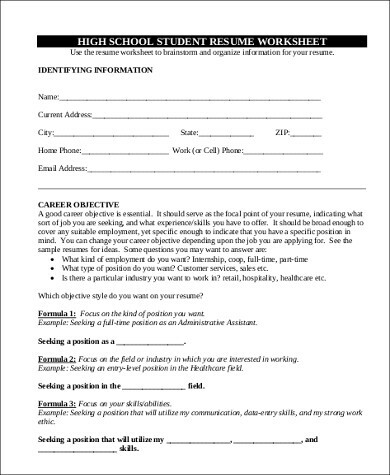 This article discusses about the importance of having a resume and how to write one for high school graduates. Samples that are free to download in PDF and MS Word format are also provided below for you to use as a reference material. 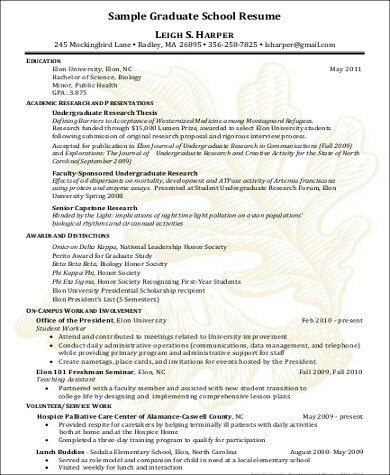 Writing a resume can be time-consuming. 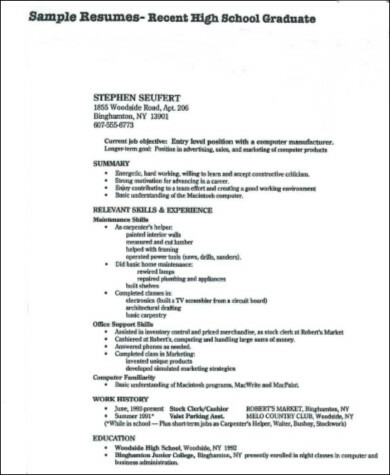 You need to make sure that everything you write down in your resume has the relevant documents to back it up. 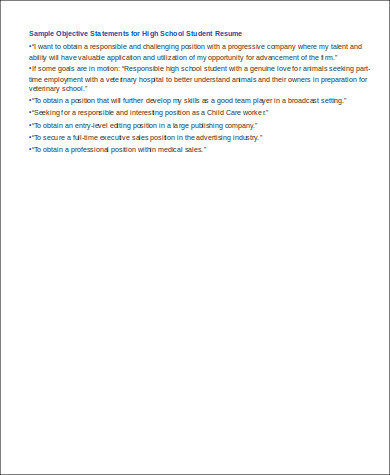 Usually, a cover letter is always accompanied with a resume. It is good to have one as it explains things that your resume can’t; however, having a CV proves best as well. 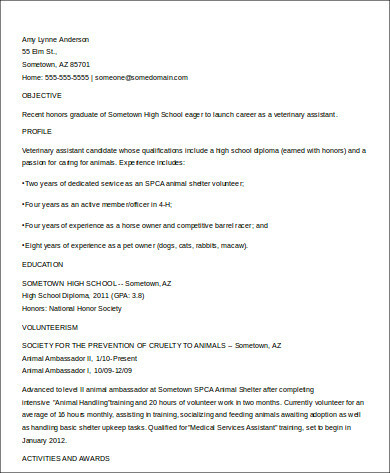 You can check out High School CV Samples to see various samples on how to write a curriculum vitae. Writing a resume for a high school graduate would seem intimidating, but as long as you have all the details and documents you need, writing one would be a breeze. 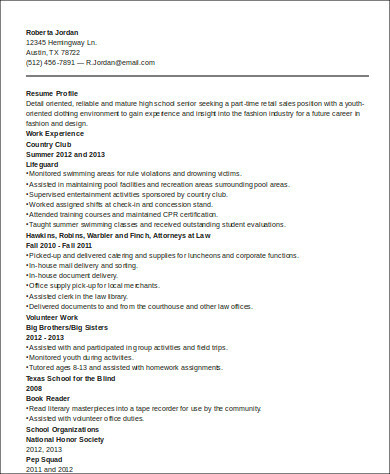 Here are some tips to guide you in writing your resume. The purpose of your resume. The objective is the part we mostly leave for last, depending on what you plan to use your resume for, you may need to tailor it accordingly. Having found an objective, you are able to tailor your resume to showcase the part that highlights your credentials for it. Chronological order. Details on your past working experience and educational background bulleted in ascending order, having the most recent at the top of the list, allows the receiver of your resume have an easier time assessing your working history and educational history. Since most high school graduates may not have any working history, no need to fret, you may just indicate your educational background and make your sales speech about yourself through your objective. Skills and achievements. It is important that you indicate your skills and achievements in your resume. It allows the potential employer to see a glimpse of who you are as a person. It is also a way to prove to them that you have something that you can contribute to their company. 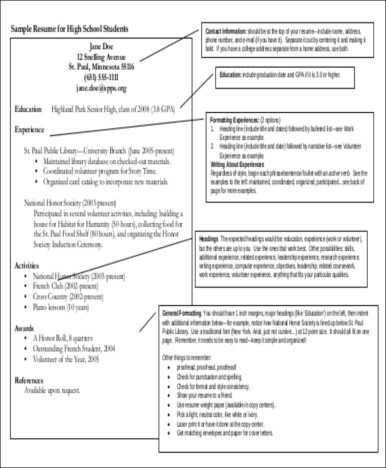 You can check out Sample Graduate School Resumes to see more samples that can help you in writing your resume. Whether you are a high school graduate, a college graduate, or a member of the workforce, the process we go through in writing a resume is always the same. Always remember that a resume is your own personal tool that allows you to market your skills and experiences to potential employers. It is important to make sure that you have every relevant documents to back up your written details in your resume. 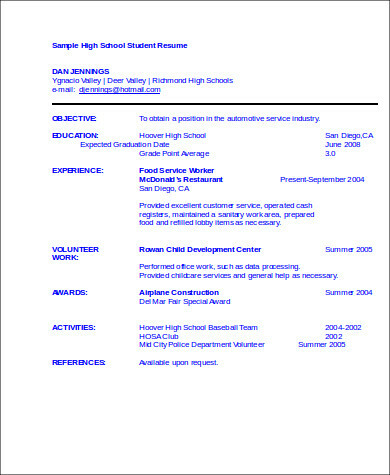 If you still want to see more various types of resumes for high school students, you may check High School Resume Examples.